In our design services, we offer the stage of creating a prototype prior to launching mass production. Our experience, simulation tools and 3D modelling allow us to reduce the number of prototypes to the minimum. Our manufacturing facility is prepared to create highly complex electronic packages of the highest 3rd class according to the IPC-A-610F international assembly quality standard. 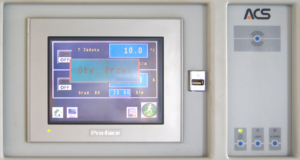 It is also adaptable for the production of metal enclosures of high complexity that take advantage of the latest technology trends. We perform a fast prototype creation procedure, as we are not dependent on subcontractors and we fully run the creation procedure. 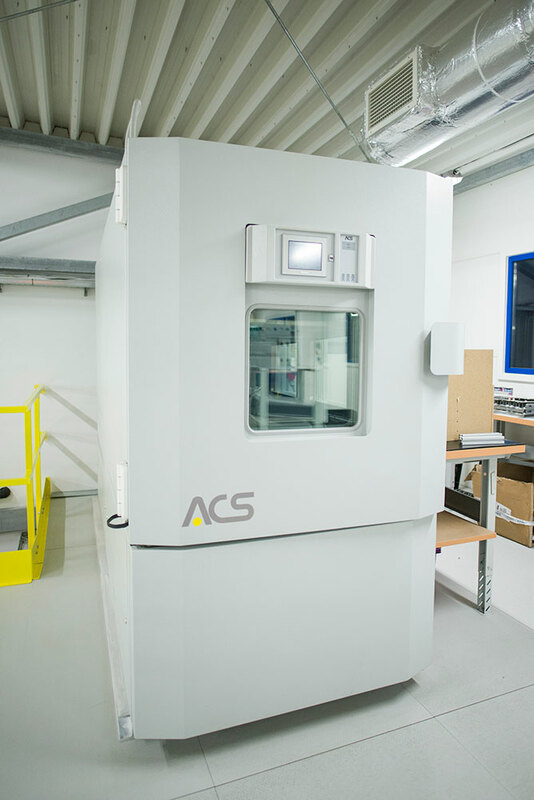 We add elaborate technical comments in order to reduce the costs of mass production and guarantee its repeatability. Tests performed in the laboratory aim at verifying the prototype in terms of proper operation in a specific electromagnetic environment. The prototypes are also evaluated in terms of emitting disturbances in electromagnetic field that may interfare correct operation of other devices within the same environment. device (system) does not cause interference with its own operation. 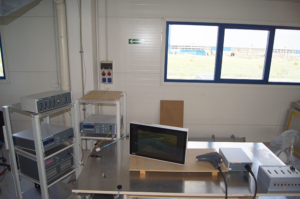 VDS 200N10 Voltage drop simulator (manufactured by EM TEST). 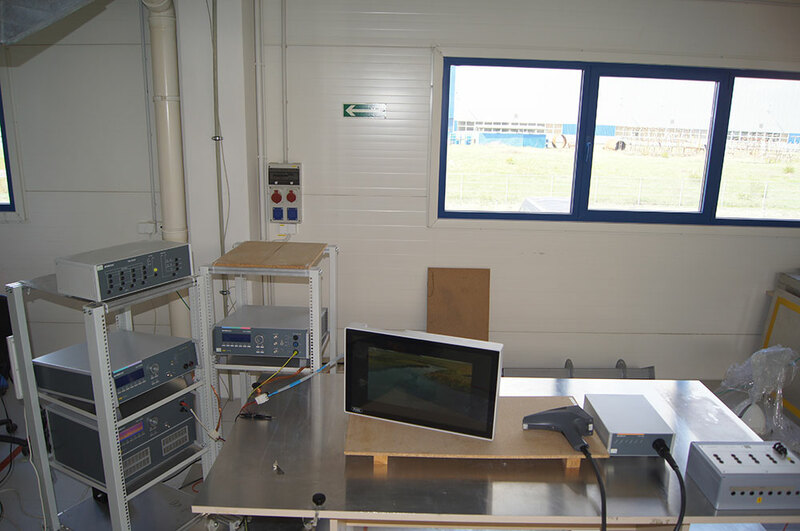 The Angelantoni Industrie device type DY2000SP tests the operation of a prototype in extreme environmental conditions. 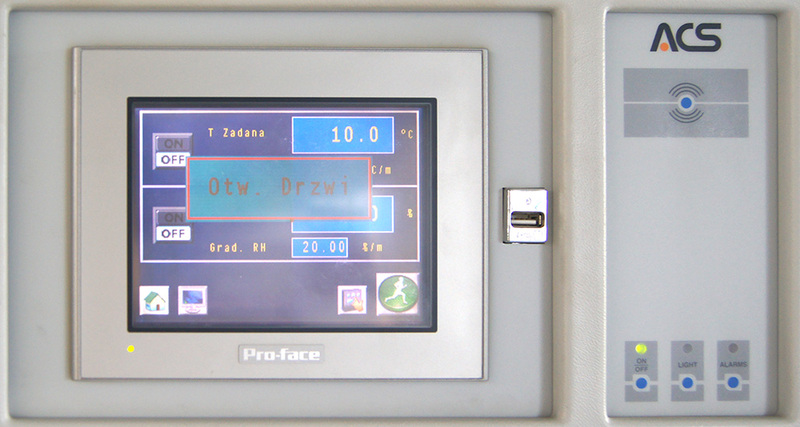 The chamber offers the temperature range of -40°C to +180°C at the humidity level, 10% to 98% RH. 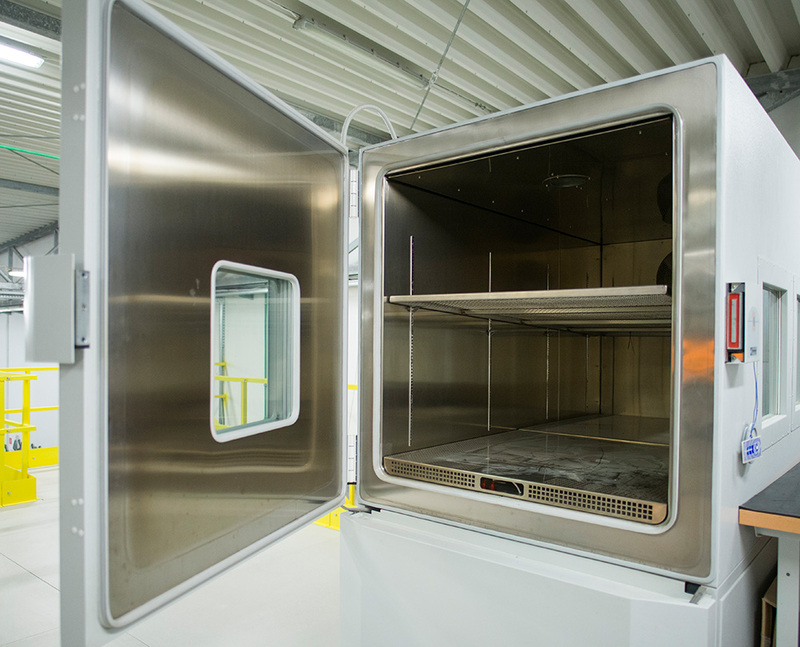 Internal dimensions of the chamber allow it to accommodate exceptionally big prototypes and to visually monitor the operation of the tested device that is exposed to harsh external conditions. 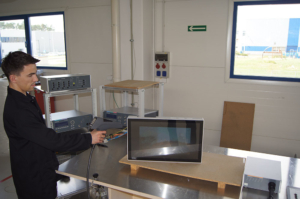 Vibrating table is used to verify how vibrations affect device operation. It simulates the behaviour in the wheeled vehicles rolling stock that are on extremely uneven surface. It allows testing with smooth frequency adjustment from 25 to 50 Hz, operating at various angles and in different directions.